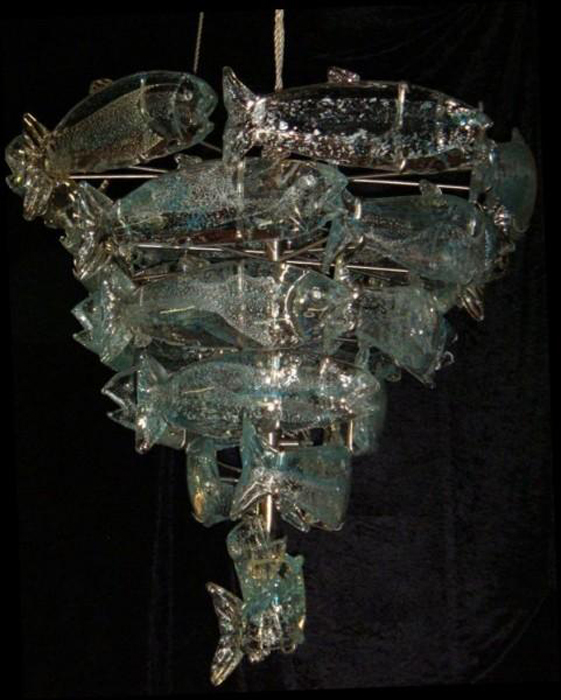 This “sculpture chandelier” was created for an oceanfront home and was customized for the client’s décor and color scheme. The light source is miniature halogen which creates a depth and sparkle off of the silver and gold flecks within each fish. 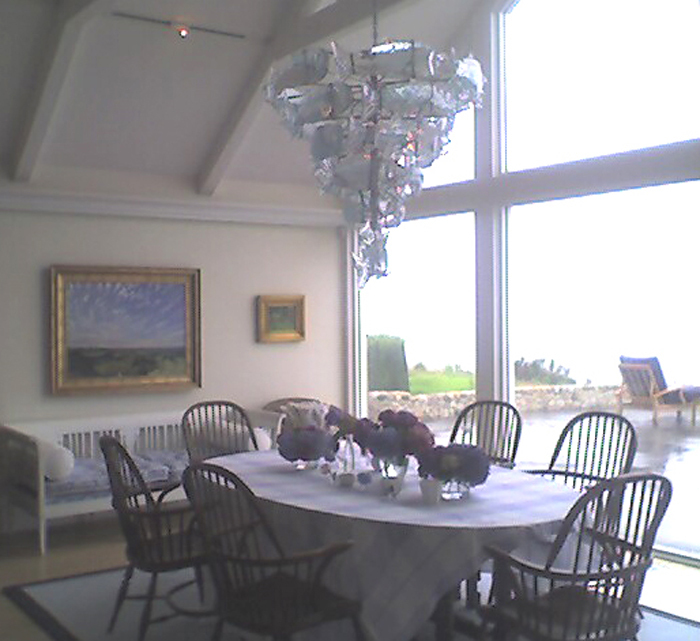 The space’s requirement of a strong focal point was fulfilled with this luminaire.